Do you feel that something is wrong, but that sitting down and tackling the issue head-on is not for you? Perhaps you have talked things through, but nothing’s changed? Perhaps you’ve tried to solve your problems by logical thinking, but you find you end up going round and round in circles? Have you ever experienced the healing sensation of being connected with nature? If so, ecotherapy could be the answer for you. Research out of the University of Essex, has shown that it improves self-esteem, general emotional and psychological wellbeing, reduces depression and social isolation, and increases motivation. In fact, studies show that it is every bit as effective as anti-depressant medication. Sarah runs weekly half-day ecotherapy groups where people have the opportunity to collaborate on woodland crafts and forest gardening, learn mindfulness meditation, experience guided visualisation, and discuss how they can access the resources they need to get their emotional needs fulfilled. Or, you can have your ecotherapy experience tailor-made for you. 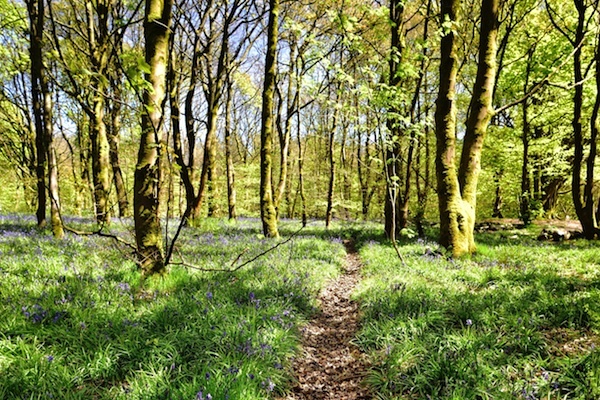 Set within 9 acres of ancient woodland just outside of Guildford in Surrey, you can use a range of ecotherapy techniques alongside your counselling session in order to promote your sense of wellbeing and advance your personal growth. So, whether you choose to join the group, or to be one-to-one, working within nature while focusing on changes that you are wanting to make in your life, can be a wonderfully nurturing experience. In fact, so much so that the organisation Mind are now calling for GPs to refer patients suffering with depression to ecotherapy.